The McLaren RUBBER OTT™ Over The Tire Tracks are the most versatile over the tire tracks on the market. The McLaren RUBBER OTT™ and the McLaren MAGNUM OTT™ Rubber Over The Tire Tracks have Interchangeable Pads are compatible with each other. Whatever set of tracks that you buy, you will be making a great decision. Rubber OTT tracks offer the most versatility, designed to work on all types of terrains including turf, concrete, asphalt, sidewalks and mud. 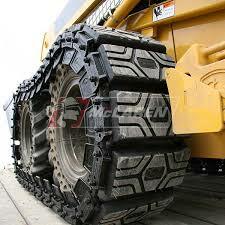 Rubber tracks also offer optimized stability and tire protection. They do not damage delicate surfaces like asphalt and sidewalks and are great for sensitive applications like landscaping. When using a Rubber OTT track, there is less noise and vibration which translates to a smoother ride for a skid steer operator. Rubber OTT tracks are compatible with pneumatic tires or semi-pneumatic tires. Do not use on solid or foam-filled tracks as these can cause damage to your heavy equipment. 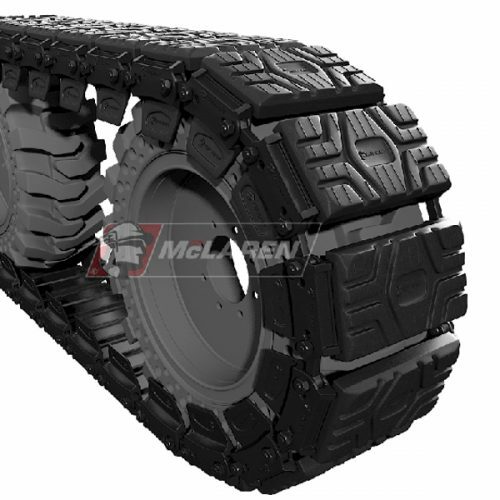 For optimal performance, we recommend combining your rubber tracks with McLaren’s Nu-Air Tires. An added benefit of rubber OTT tracks is that they come with the option of orange non-marking rubber pads that leave no unsightly black marks on surfaces like concrete. 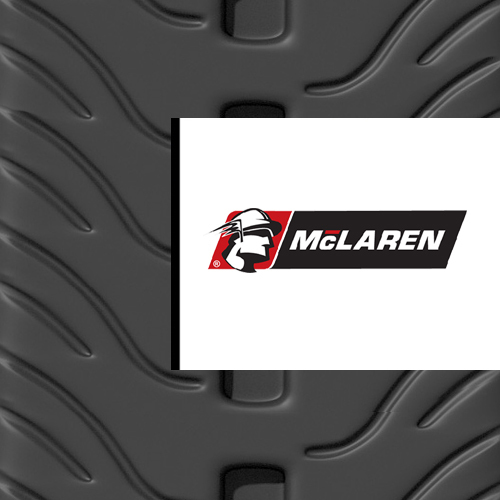 McLaren Rubber OTT track pads are made using rubber of the highest quality, made of tough, highly-durable rubber compounds that make the rubber wear and puncture resistant. The base of the rubber track is reinforced using premium-grade steel that is fortified with manganese. Components of the rubber track like its pins and links are made from high-quality, heat-treated chromium-enriched steel. 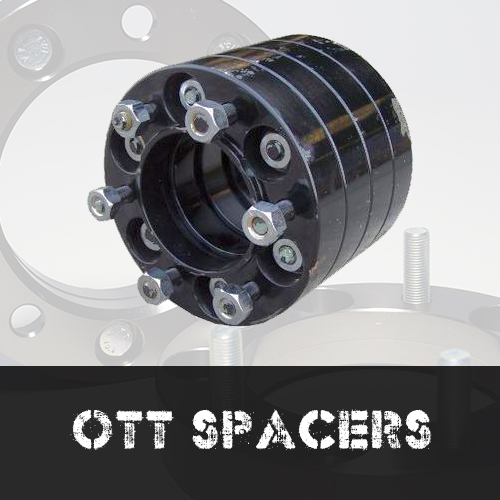 These high-quality components and inserts make Rubber OTT Tracks highly impenetrable and durable, reducing incidences of equipment downtime caused by flats. Out of all the OTT track systems available, Rubber OTT tracks guarantee the least damage when used on delicate surfaces like pavements, sidewalks and driveways. They are, thus, the best option for landscaping projects or any other job site where you need to protect sensitive surfaces like turf. Rubber OTT tracks can be used both on-road and off-road so you do not need to switch them out when traversing on both types of terrain. 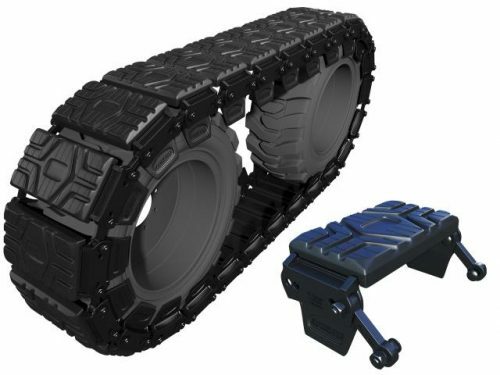 Rubber OTT tracks will significantly enhance the flotation and traction of your skid steer, allowing it to smoothly glide – and not sink – over muddy and sandy terrains as well as providing great traction on wet, slippery surfaces. Outfitting your skid steer with our state-of-the-art rubber OTT tracks guarantees a smoother ride and better operator control of your equipment. 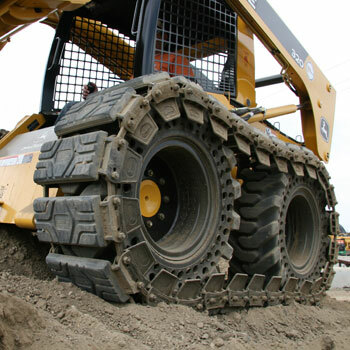 Monster Tires offers high-quality Rubber OTT tracks that fit a wide selection of popular skid steer makes and models including Bobcat, CASE, Caterpillar, John Deere and many more. Contact one of our experienced staff to find out more information about outfitting your skid steer loader with our premium grade rubber OTT tracks. 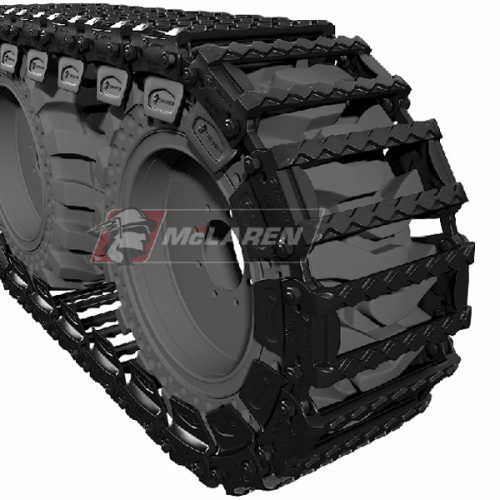 We offer the lowest prices on high-quality McLaren Rubber OTT tracks. Call us today!